Forget the common beef burger! 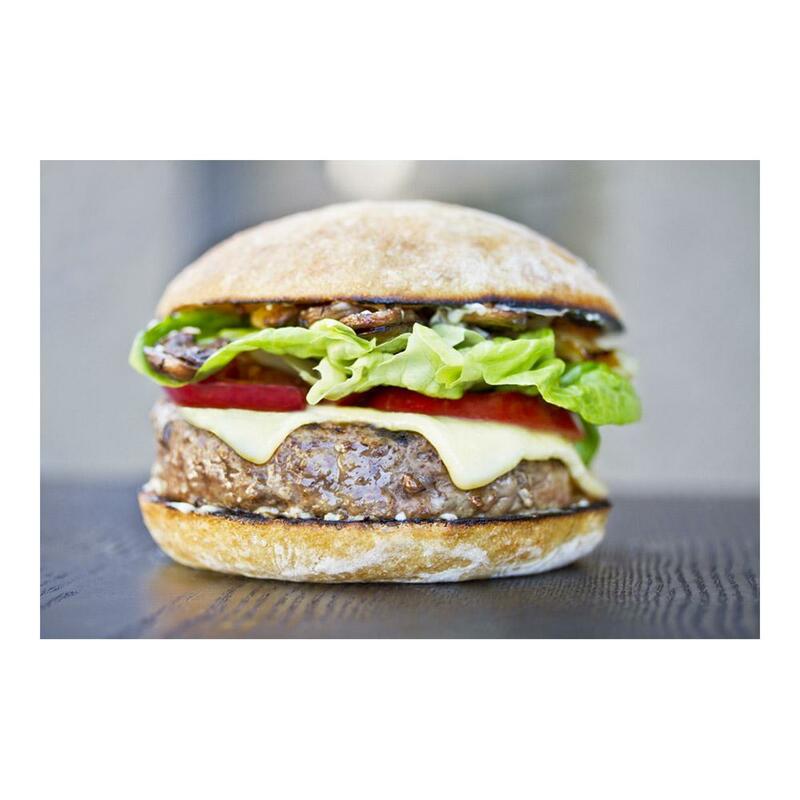 Grass fed beef burgers cook faster and offer a lighter, beefier flavor than conventional feed lot beef. 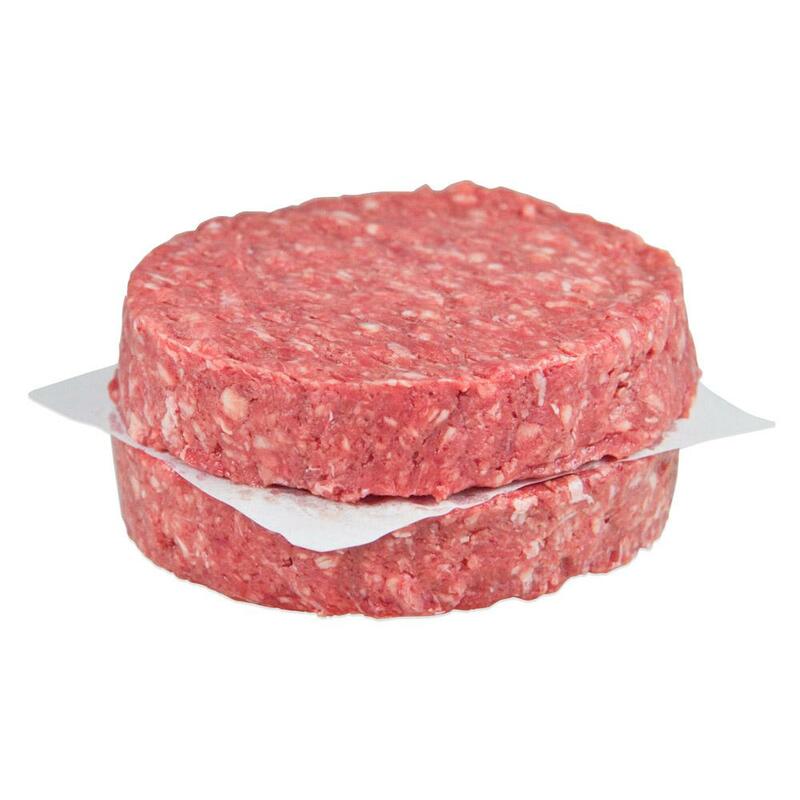 These burgers have an 80%/20% lean/fat ratio (ideal for moist burgers) and are ground from only solid muscle, so they have a superior texture to beef ground from cheaper trim. Store Black Angus burger patties in your freezer until you’re ready to use them, then thaw as many as you need. These grassfed beef burgers will be welcome at almost any gathering. Of course, you can serve them simply with mustard, ketchup, some lettuce and tomato. But you can elevate them to an even higher level with toppings like sautéed fresh wild mushrooms, caramelized onions, sunny side up quail eggs, blue cheese, or Swiss gruyere. To give them a kick, whip up some homemade aioli spiced with dried peppers. For grilling tips, please read The Best Way to Grill Burgers. Check out our burger recipes for more ideas. You can also thaw your burger patties and break them up into pieces for use as ground beef. Check out our ground meat recipes for ideas of what to do with them.